International Card Manufacturers Association (ICMA) serves the global dynamic card industry by providing education, resources and networking for companies involved in manufacturing and personalizing cards. Working for an ICMA member company enables you to access a variety of online training resources. Please review the training opportunities displayed below. In order to gain access to the materials, you must enter your name, company and email address. An ICMA staff member will review your request to ensure you are employed with a member company. Once approved, you will receive an email to gain access to the training resources. Working for an ICMA member company enables you access to a variety of online training resources. In order to gain access to the materials on this page click on the training sign up button at the top of this page. Not A Member? Click here to join ICMA! An ICMA staff member will review your request to ensure you are employed with a member company. Once approved, you will receive an email to gain access to the training resources. Provides an understanding of the history and technologies involved in the card industry, including general card manufacturing, personalization and applications. Participants who receive a 70% or above on the final exam receive a certificate of completion. Watch tutorials that teach you about the main processes in manufacturing including lamination, die-cutting and more. Tutorials are taught by leading card industry suppliers. A training video for card issuers — a tutorial on the manufacturing and personalization of cards to support an issuer’s knowledge base for card procurement. This is a library of reports that have been published by our ICMA Standards representative after outcomes from ISO and ANSI meetings that impact the card manufacturing process. Standards are one of the most critical elements in ensuring that a card does what it is supposed to do where it is supposed to do it. The organization ISO (International Organization for Standardization) oversees global standards for thousands of products through various subcommittees and working groups. For the card industry, the primary global working group is ISO/IEC JTC1 SC17WG1. In the United States, the ISO card industry national committee is the U.S. Committee for ID Cards and Related Devices (ANSI/NCITS B10.) ICMA maintains representation on both of these committees through its official Standards Representative, David Tushie, Magellan Consulting. David is at the forefront of current and emerging standards for all types of cards and related devices. Reports are available from 2011 – 2017. ACE is a program that examines and rewards knowledge in manufacturing, personalization and advanced technologies. In-person training classes are available. Exams measure your knowledge. Learn more about the ACE program levels and topics covered. Currently ICMA offers three designations, ACE-M, ACE-P and ACE-A. Each designation is developed as a stand-alone program and does not build upon, nor require, the other designation as a precedent. Consequently, the card professional can build upon their ACE-M with the ACE-P as well as the ACE-A or alternatively, for those that specialize in personalization and fulfillment segments of the industry, can seek ACE-P separately. Companies may also elect to host a private training and exam at your location with a minimum of 10 participants. Contact ICMA for details. Click here for more information, dates for training and exams and to apply. Or contact ICMA Headquarters for more information. Gain access to recorded webinars delivered by industry experts which cover a variety of topics related to the card industry. As a member benefit, ICMA hosts live webinars featuring an industry leader or expert, delivering a virtual presentation. Below is a list of webinar recordings currently available. 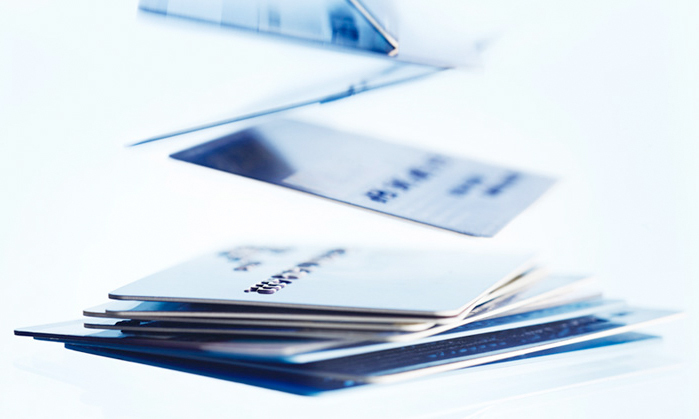 What Can Card Manufacturers Infer from Current Standards Activity? I’m pleased to be able to provide the numerous reports of standards activities so that members can remain updated on the latest progress and changes within ISO and ANSI standards." It is such a great benefit to have so many training resources in one location. This is something we make available to all of our new employees to get them acclimated to the industry." ICMA offers great training opportunities for card industry professionals. From webcasts, to card industry education, to industry standards reports, to card manufacturing and personalization tutorials, ICMA’s training portal is a great way to educate your company’s employees. As a member of the ICMA Board of Directors, I am proud to be able to offer these programs to our employees here at CPI Card Group." Working for an ICMA member company enables you to access a variety of online training resources. If you do not see your company below, click here to join ICMA. ICMA provides it’s members the following benefits: Annual Card Manufacturing & Personalization EXPO, ICMA CardTREX Regional Events, ICMA Summits, ICMA Resources, ACE Training, Member Exposure, Industry Initiatives & Training Programs.